Do you want to be doing what you are doing now in five years? Most people would respond with a resounding NO! However, not everyone wants to change what they are doing today to arrive at their new destination tomorrow. “If you always do what you’ve always done, you will always get what you’ve always got,” is a quote attributed to many people from CEO’s to motivational speakers to consultants. Regardless of who first coined this phrase, it is true. To paraphrase another CEO, “To think you will be somewhere else tomorrow and not changing what you are doing today is lunacy.” If you do not change what you are doing today, how will you be somewhere else in five years? You have to change what you are doing today to be somewhere else tomorrow. All highly successful AMSOIL Dealers have one common trait: they have a need for a successful AMSOIL Business. What is a “need” for one person may not be the same need for another; however, there must be a NEED. What is YOUR need? Is it on this list? If your need isn’t on the list, put it there! Our point is you must have a need that the AMSOIL Business can fulfill for you to be successful. Otherwise, knowing HOW to make money in your AMSOIL Business isn’t enough if you do not WANT to make money in your AMSOIL Business. The AMSOIL Business is the only independent network marketing business we know of where you can walk out your door and compete head to head with world class corporations. As an AMSOIL Dealer, you can compete with multi-billion dollar international corporations and multi-million dollar local distributors who vie for business in a marketplace worth hundreds of billions of dollars. How would you like a piece of THIS market? The AMSOIL Opportunity is that big! There has never been a better time to begin an AMSOIL business. The demand for AMSOIL Products is on the rise, and independent AMSOIL Businesses throughout the world are growing like never before. AMSOIL INC. has enjoyed double-digit growth the past several years. 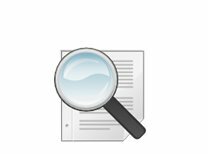 Catalog Sales: Earn profits with catalog sales. 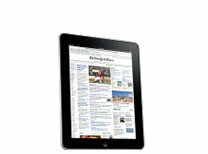 Mail order catalogs are used by many successful retailers like Sears, Lands’ End, L.L. Bean, Victoria’s Secret and Cabela’s. These companies use mail order catalogs because they work! Consumers shop in the privacy of their own homes and order when it is convenient for them. With the AMSOIL Retail Catalog, AMSOIL Dealers can take full advantage of the opportunities available through mail order catalog sales. 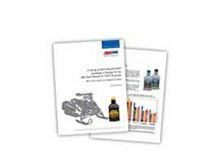 The AMSOIL Retail Catalog is a high-gloss, full-color catalog complete with AMSOIL Products designed for automotive, marine, trucking and recreational applications. The Catalog is the best overall handout you can give to potential customers/Dealers. Along with the many benefits of AMSOIL Products, it lists pricing and ordering information. 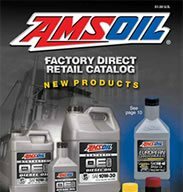 Best of all, your Catalog customers order directly from AMSOIL using their credit card and YOU get the retail profits and commission credits from their orders. Sponsoring New Dealers and Preferred Customers: Multiply your profits by building and managing your own sales group.The ability to increase a sales force is important to the growth of any business, and your AMSOIL Dealership is no exception. 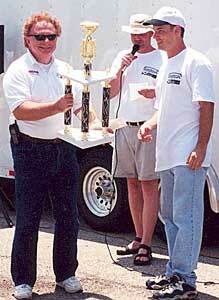 Sponsoring is the primary way of doing so within the framework of the AMSOIL Opportunity. “Sponsoring” refers to the process of establishing people as AMSOIL Dealers and helping prepare them to succeed in their own independent businesses; and establishing Preferred Customers to increase your commission credits. When you sponsor new Dealers and Preferred Customers (just like you would be sponsored as a Dealer) you are building a “downline group.” The commission value of your group’s purchases is added to yours, increasing the percentage of your commission and giving you a bigger commission check. The primary difference between Dealers and Preferred Customers is the right to earn commissions. 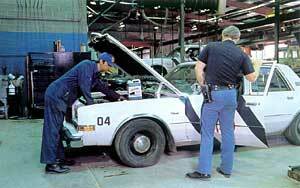 Dealers earn commission checks based upon their commission credits and the commission schedule. Preferred Customers do not earn commission. All commission credits earned by Preferred Customers are credited to the sponsoring Dealer. Retail Program: More profits in retail markets. Earn 20% cash commissions plus 20% commission credits. Dealers provide product to customers through personal retail sales. Sometimes this is not the ideal means of distribution for a customer. Potential customers often search for AMSOIL Products they need in the convenience and immediacy of a conventional retail outlet. To expand the accessibility of products, meet the needs of more consumers and expand the business opportunity for AMSOIL Dealers, AMSOIL offers the Retail On-The-Shelf program. Setting up an AMSOIL Retail On-The-Shelf Account is yet another way to earn commissions. The servicing AMSOIL Dealers earns a 20% commission and 20% commission credits applied to the commission schedule for purchases made by his or her Retail On-The-Shelf Accounts. 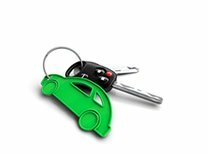 Retail accounts are retail outlets such as auto parts stores, motorcycle dealerships, fast lubes, and automotive service centers. These stores stock AMSOIL Products to sell to their customers or install AMSOIL Products as part of a service such as with oil changes. Expanding your business is also essential to getting ahead. The rule of thumb is you sell for today and sponsor for tomorrow. Commercial Program: Commercial accounts are a great opportunity for AMSOIL sales. Earn 10% cash commissions plus 20% commission credits. One branch of your AMSOIL Business that has the potential for large sales volume, and consequently high profits, is the Commercial Program. Any company that purchases lubricants for use in the vehicles or equipment the company uses may be registered as a commercial account. Many companies require a large amount of lubricants to maintain their company vehicles, machinery and equipment. Trucking companies, taxi fleets, golf courses, farms and ranches, construction companies, manufacturing facilities, municipalities and government agencies are all entities with good potential for commercial sales. These accounts do not sell AMSOIL Products; they are end users only. Commercial accounts can provide a steady source of income for an AMSOIL Dealer. The servicing AMSOIL Dealer for a commercial account earns 10% cash commission on every purchase and 20% of their purchases as commission credits which are applied to the commission schedule and added to the Dealer’s commission totals. In your AMSOIL Dealership, the requirements for achieving recognition and increasing your income are clearly defined and attainable. It’s entirely up to you. Internet Sales: Earn retail profits and commission credits with online commerce. 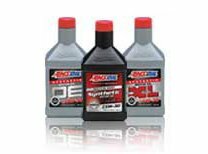 The AMSOIL Online Store offers customers the convenience of ordering AMSOIL Products over the Internet. As in the Retail Catalog Sales Program, products are sold at the suggested retail price and AMSOIL dealers earn the retail profits and commission credits. 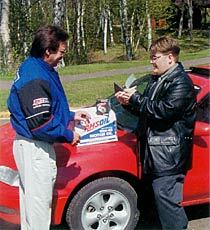 Customers normally enter the Online Store by referral of an AMSOIL Dealer, or through an AMSOIL Dealer’s web site. AMSOIL Dealers can establish an Internet presence with an AMSOIL-generated web site for a small monthly charge, or build large, professional sites like this one. An AMSOIL web site works when you don’t! Your Preferred Customers often make the best Dealers, since they believe in the product and have a good base of knowledge to work from. Personal skills and habits: Better people make better AMSOIL Dealers. If you improve your personal skills by taking classes, attending meetings, reading good self-development books, and maintaining high integrity, you will be a successful AMSOIL Dealer — and better yet, a successful human being. AMSOIL is a “people business.” Yes, we sell AMSOIL — the best synthetic lubricants in the world — but we are first in the “people business.” We just happen to sell AMSOIL. If you like people, know how to talk to people, learn how to ask questions, are professional, have impeccable integrity, and grow as a person, you WILL make $$$ in the AMSOIL Business.